Jordan Peterson is a very interesting speaker to listen to and consider what he has to say. 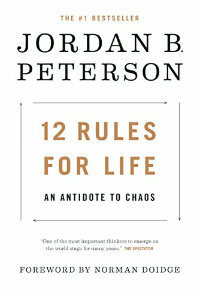 This book is really broad in terms of ways advised to live, think, and be. I love that he brings in many of the accounts from sacred texts and compares his rules and life experience to them. I enjoyed it and recommend it, but I’m having a hard time categorizing it in total into something other than thought-provoking.